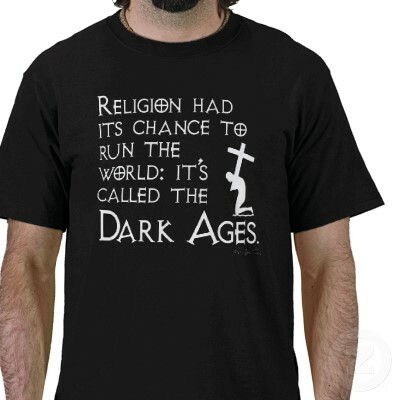 Occasionally you can hear people referring to a period in history called “the dark ages”. Usually it is expressed as something like this: “We’re not in the dark ages anymore!”, or, “What is this, the dark ages?”, and especially this: “That would take us back to the dark ages!” It is a deliberately exaggerated epithet intended to convey the belief that we have evolved beyond something the speaker disagrees with—usually quite strongly. The trouble is, it is intellectually lazy at best and downright malicious at worst. The implicit assumption, of course, that there was a time (before ours naturally) when things were really, really “dark”. Life was akin to that portrayed in one of those depressing medieval films, where it is raining all time, feral children wrestle with dogs in the straw, the nobles are invariably conniving and corrupt, and the Church is suppressing all learning and, well, civilization. Most scholars know this image is pure bunkum, and if you want to make any medievalist cringe, try using the phrase in his or her presence. But we might still honestly ask: was there any era that might be accurately termed the “dark ages”? When it is used to refer to the entire Middle Ages – that is, from the fifth to the fifteenth centuries – it is coming primarily from an Anglo-“Enlightenment” view of history, in which there is an anti-Catholic polemic at work. To view that whole millennium as "dark" is simplistic and simply wrong. Historians agree, however, that a so-called dark ages did occur when the northern Germanic tribes began to conquer Europe from the fifth to ninth centuries, the early Middle Ages. In 410 AD, the city of Rome fell to Alaric the Visigoth. Although no longer the capital of the Roman Empire, Rome had not been sacked in 800 years and had remained its “spiritual capital”. So it was something of a shock, and marked the beginning of the Empire’s decline and fall. In 476, Odeacer the Ostrogoth became the first Germanic chieftain to depose and succeed a Roman emperor. There were other invasions and sackings, and since these northerners were not very good at governance, civil order fell apart, and in many cases, classical and early Christian art and culture was destroyed. So where does the term "dark ages" pick up its anti-religious connotation? It was first used by the fourteenth century Italian scholar Petrarch, who used it specifically to refer to the state of post-Roman Latin literature, which he thought was “dark” compared to that of the classical era. Later historians used it to describe the lack of historical documents from the early Middle Ages. In the so-called age of reason, writers such as Voltaire used it as a term of contempt for the centuries before theirs. 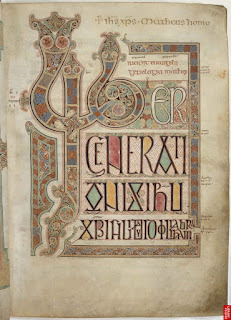 It is true that there are fewer historical documents from the early Middle Ages, at least from Britain. But that mother country, from whom much of the English-speaking world still derives its historical perspective, tends to forget that after the Romans withdrew, the Britons largely relapsed into a non-literate paganism, which resulted in the lack of surviving documentation. 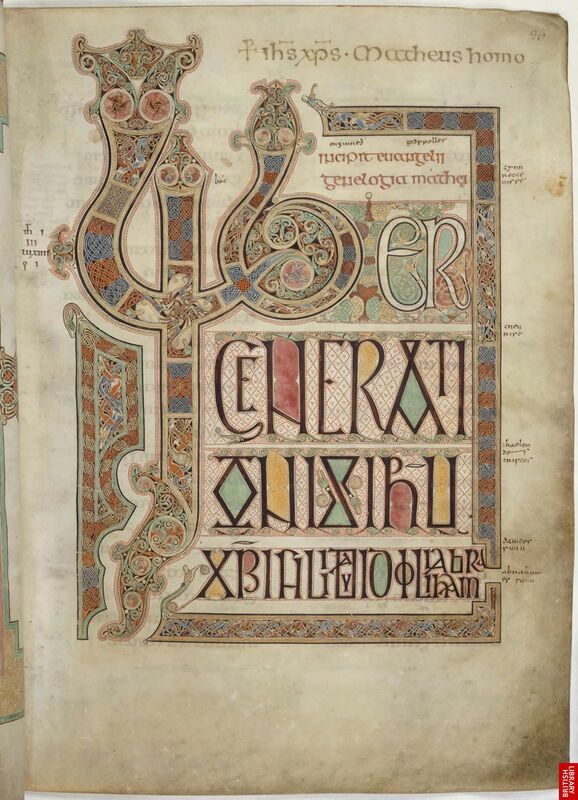 It was the re-evangelizing efforts of the Celtic monks that Britain was Christianized and literate once again. Since the post-Reformation English aristocracy got rich off the church and monastery lands they had appropriated—a fact we might keep in mind when reading Jane Austen or watching Downton Abbey—there was naturally a vested interest in promoting a different view of history. The popular TV series Downton Abbey is presently exploring this traditional anti-Catholicism, as one of the Crawley daughters has married the Irish chauffer, and they want the child to be baptized a Catholic. As one of Lord Grantham’s guests puffs, “I can’t see that bells and incense and the rest of that pagan folderol is pleasing to God.” Far too foreign; it seems like something out of the dark ages. Whether this cultural prejudice derives from guilt over the crimes of the Reformation as some have argued, I cannot say. But Julian Fellows, producer of the series, is at least putting a finger on a weak spot in the British historical psyche. One can only hope the same will be done for the Middle Ages as whole. While I don’t think the comic gentlemen of Monty Python are the ones for the job, it is time to bring out our dead historical tropes, and encourage better popular representations of that period. Re: "Whether this cultural prejudice derives from guilt over the crimes of the Reformation as some have argued..."
Anglican William Cobbett shows how this is true. In his book "A History of the Protestant Reformation in England and Ireland" (photographically reproduced from the 1896 edition by TAN Books) he details from primary sources the true motives for the founding "reformers" beginning with Henry VIII, that they stole from the Catholic Church (everything from her buildings, vestments, jewels embedded in altars, etc.) and gave much of the spoils to the nobles as bribes, how the "Reformation" created pauperism, and gravely harmed England. He uses the Catholic Middle Ages as a comparison and shows how the common people were much better off pre-Revolt. The author of the Preface to the 1896 edition verifies and footnotes Cobbett's information. It is said that no scholar has ever denied the historical accuracy of Cobbett's information. A very disturbing read.